The founder and chairman of China’s Zhejiang Geely Holding Group Co. has global expansion on his mind. Last week, Li Shufu succeeded in becoming Daimler’s largest single shareholder. But before that he made a play for Fiat Chrysler, and today, we may know more about how that went down. A report in Automotive News sheds more light on the somewhat private billionaire’s attempt to buy some or all of FCA from Exor, the Agnelli family-controlled holding company that controls it. In May, Li flew to Italy to see Agnelli scion John Elkann in a private, top-secret, closely guarded meeting, the story says, and from there he put forth an initial offering of $20 billion for FCA. The merger would have been perfect for both parties, Li must have surmised. FCA is the third-largest automaker in the U.S. and the fourth largest in Europe, as the story notes, but it’s huge in Latin America and weak in Asia where Geely already had a strong foothold. 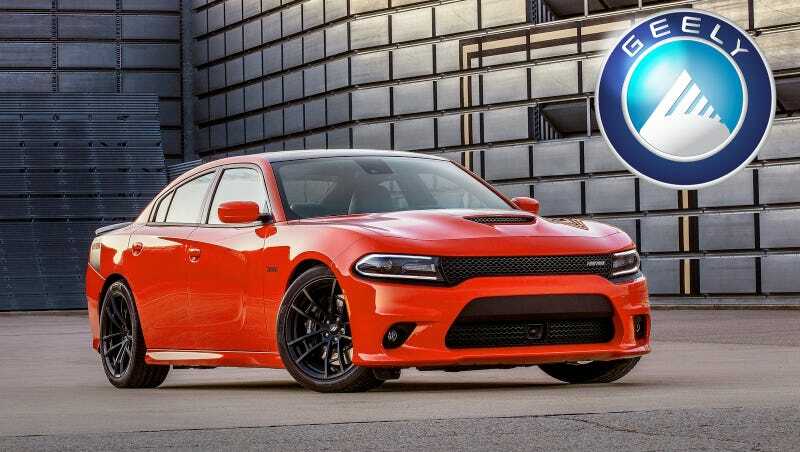 Plus, FCA boss Sergio Marchionne had been looking for a merger partner or a buyer for some time, and Geely would have gained valuable brands like Maserati or Jeep, plus more notable American makes like Dodge and Ram. The initial offer valued FCA at $20 billion. It constituted Geely purchasing Exor’s stake as well as a public tender for the 71 percent of shares held by other investors. The offer was rejected. Geely’s emissaries then raised their offer to $22 billion, with no success. Two sources with direct ties to the discussions gave different views on why a deal didn’t happen. Under that scenario, one step would have involved the spinoff or sale of FCA’s Magneti Marelli parts business, a move FCA CEO Sergio Marchionne still wants to pull off this year. The second source said FCA was open to accepting a $22 billion deal if Alfa and Maserati were excluded. Geely rejected that idea. The discussions were over by the end of August. In other words, Geely’s offer was still too low, but FCA was amenable if it kept Alfa Romeo and Maserati. But it didn’t pan out. Getting financial resources seems to be no obstacle. He plays an active political role in China and is a regular delegate to the Chinese People’s Political Consultative Conference, a largely ceremonial political advisory body. Expect more of this to come as China rises in the worldwide automotive ecosystem.